How Often You Need To Change Brake Pads? 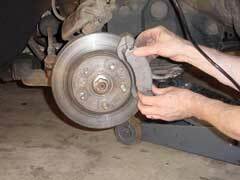 Knowing when to change brake pads is critical for all drivers as this can ensure your safety. Over time, your pads will whittle down due to normal wear and tear. As they thin, they lose their effectiveness thereby making it harder for the brakes to work properly. If left unchanged, they can pose a serious safety risk.